My daughter spilled nail polish on our composite deck and cleaned it off with nail polish remover. This left a light spot on the deck. Is there a way to replace the color in the composite wood? I have attached a picture. 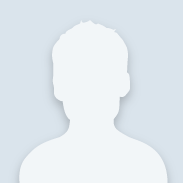 Hello Kristine Lanc and welcome to the Community. The answer to your question would depend on the type and manufacturer of your composite decking. Some new composite decking have a hard plastic coating that would make it difficult to change of the effects of the nail polish remover. You might be able to lightly sand it to get down to a un effective layer but you do not want to sand to deep and expose the core material. If it is uncoated composite there are deck brighting products that clean and blend the area but it also will lighten your entire deck. I fit is possible to relay the type and manufacture information, I could be more specific. Please send an update with that information if possible. According to the manufacturer of our composite decking, Trex composite materials may be painted with conventional latex exterior paint. As Char mentioned below, a lot depends upon who manufactured the composite materials. Take a closeup picture of the deck in bright sunlight, take the picture of the deck to your local Home Depot. 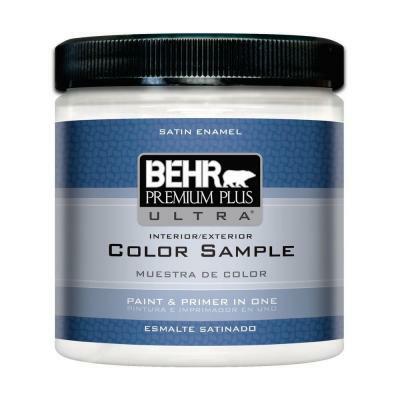 You can purchase a sample size of Behr paint, have the paint associates tint it to match your picture. Try the paint on a inconspicuous spot to test its effectiveness. If it worked on the test spot, clean the spot on the deck thoroughly and allow it to dry, then apply the paint. Dab on the paint with a small brush, a little at a time until the spot is covered. If the color match is off wipe away the new paint with a damp rug, have the color adjusted and try again. If you go to The Paint Pit at your local store, your Paint Associate can show you a composite decking color guide that lists the manufacturers and colors they offer. Standard wall paint is not suitable for walking surfaces. However, the manufacturer's color from this brochure can be mixed in Behr Solid Color Stain which comes in a half-pint sample. And, solid color stain is suitable for walking surfaces. If it is difficult to decide the color of your composite, take the brochure home and compare colors to your deck during daylight hours. Then go back to the store and ask for a half-pint of solid color stain in your color. How easy and accurate could it be?!? Behr Solid Color Stain is labeled "Self-priming" so simply clean, dry, and apply. Thank you very much Char, Mike and Pat! This is a great forum. We used Trex, so I'll take a picture into my local Home Depot this weekend.